Get into windows Explorer by opening a folder such as Computer (My Computer). 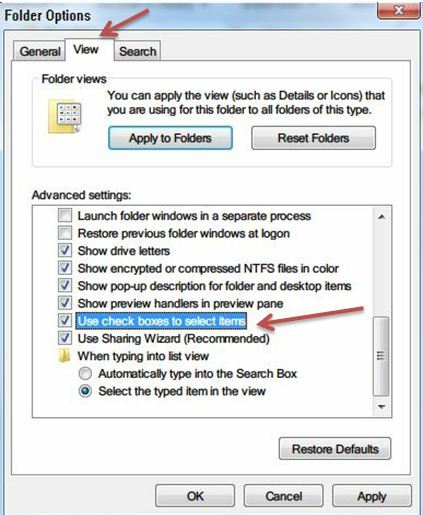 Navigate to the View tab under Folder Options and check the ‘Use check boxes to select items’ and apply the settings. Now you will be able to see a check-box near the highlighted files.